XDA Recognized Developer and Contributor wanam is a well known hacker of many Samsung devices, and he’s a reputable developer has created numerous applications and kernels for Samsung phones since the Galaxy II days. Because of this, if you ever used a Samsung phone and love XDA, then you must have heard of Wanam Xposed. It’s likely the most complex tool to enhance stock TouchWiz functionality available on XDA. As a result of Google – developer conversation, Wanam has decided to pull his application out of Play Store to avoid any kind of account prohibiting. Play Store moderators are very ruthless sometimes, and they can pull out even the most popular applications. Tasker is a good example. For people who are still asking why I pulled out the App, it’s simply because Google does not allow playing with Samsung security stuff anymore: Knox, secure storage, Device status… my module will become useless if i remove those features, so i decided to unpublish my other modules as well, and will keep updating them on the Xposed repository. This was one of the reasons I didn’t push my L update of the module to the PlayStore months ago, i need my dev account and i don’t want to put it in any kind of troubles. It appears that Google tries to protect technologies designed by Samsung to keep those devices safe. Knox is most likely the most notable example of technology that is not power-user friendly. If Wanam Xposed suddenly disappeared from your application drawer, you can still find it in the Xposed repository. Wanam will still update his module, but you need to turn off auto updates on the Play Store app. XDA is always the best place to find the latest available version. 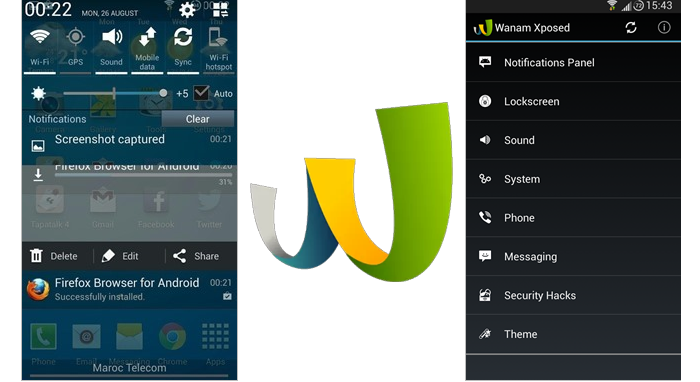 Follow Wanam Xposed module thread to get all the latest news. What do you think about this decision? Let us know about your opinion in the comments.